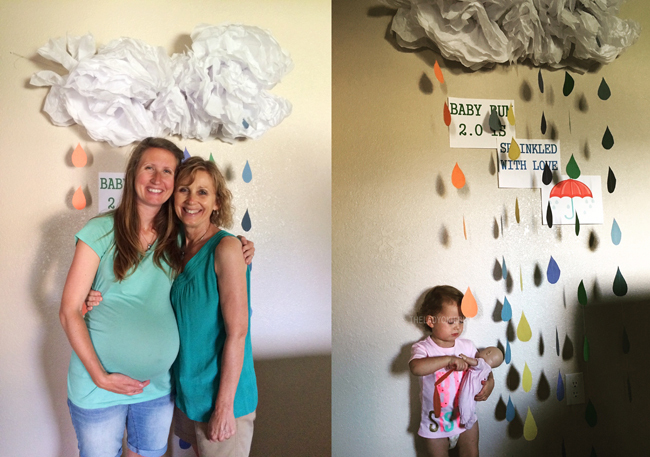 A few weekends ago, my mom, sister, and sisters-in-law threw a little sprinkle for Baby Bum! 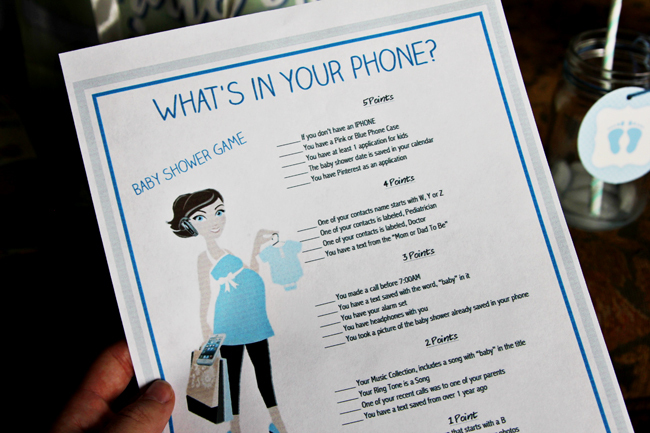 I totally understand now why showers are usually only thrown for first babies, because that's when you need the most stuff initially, and the excitement of a first baby is so new and fun. It's not that I expected or needed a shower for this baby, but I also really wanted to do something to celebrate the new life that will be joining our family, even if our list of things we need is short. "Sprinkles" for second, third, etc., babies are getting popular right now, and I love the idea of a small celebration for the new babies. It was so kind of them to host a little party and get to all be excited about Baby Bum together! My coworkers threw me a surprise sprinkle a month or so ago, and it was unexpected and so kind of them. 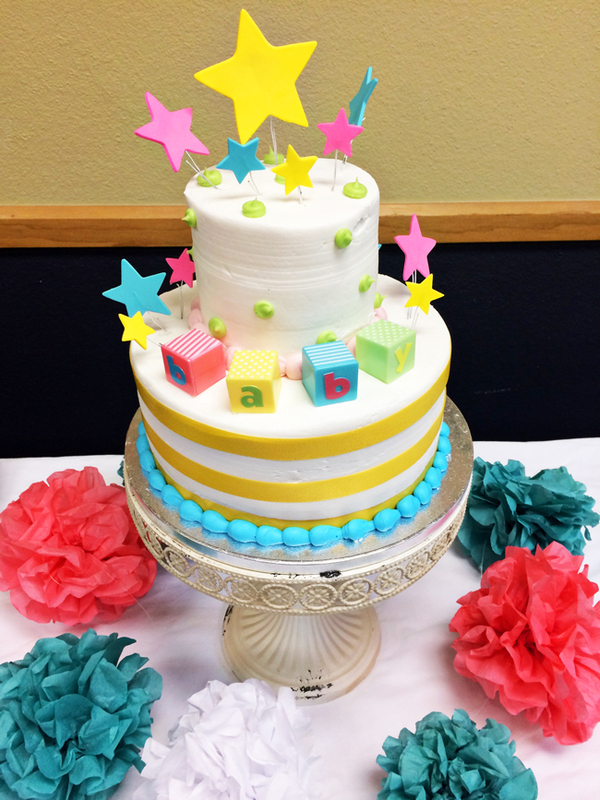 We also had a church shower over the weekend to conclude our celebration of Baby Bum. We are incredibly thankful for our community of family and friends who love us and support us and are excited to meet Baby Bum very soon! We have all the big stuff we need for the baby (car seat, bassinet, play mat, crib), but what we didn't have were boy stuff like clothes, burb clothes, bibs, blankets, towels, and teethers that aren't pink elphants. I really don't have a problem with a boy using pink stuff, and it's not like we had all pink to begin with anyway, but it still would be nice for Baby Bum to have some things not angled toward the feminine color pallet. Our showers have been so helpful with that! Plus we've gotten a good stash of diapers. We've also had some friends drop off some of their old boy clothes for us, and I've taken a few trips to garage sales and consignment stores, so we haven't had to spend very much money at all on this baby's wardrobe, which is a huge blessing. I'm not sure how much R actually understands about there being a baby coming, but if you ask her where her baby brother is, she run over to me, pulls up my shirt, and pats on my stomach and shouts, "HI, BEEBEE!" She is really sweet with her baby doll, and I seriously can't wait for her to meet her brother very, very soon! p.s. 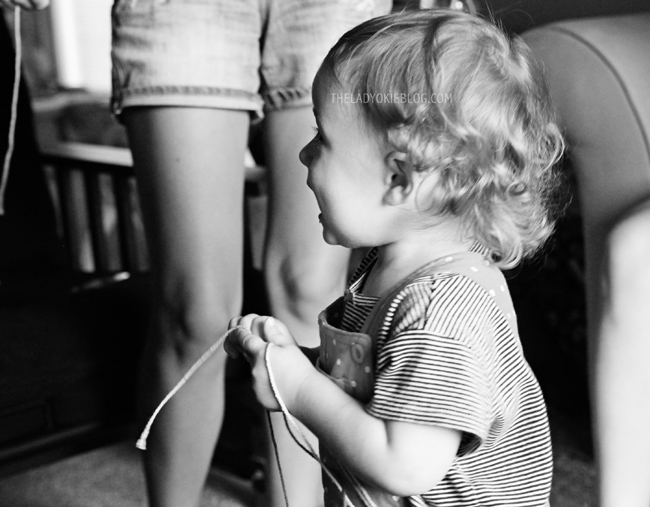 I have a couple of non-baby-centric post that I am working on, lest you fear I will only talk about babies and kids and pregnancy until the end of time. But that's what's on the brain right now! I'm sure you understand. I love this. 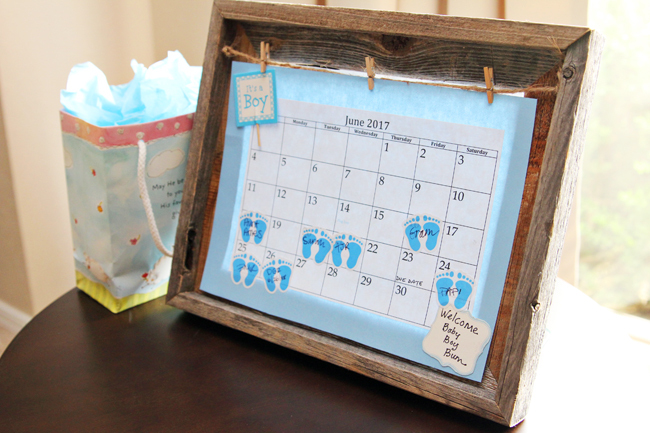 I certainly feel that every baby should be celebrated and what a wonderful way to celebrate your precious boy. Yes! Totally agree. It's fun to celebrate, and we really didn't care about the "stuff," just being excited with our family and friends. This is such a cute Sprinkle! Great decor and games! Congratulations! Also, I have that shirt and I'm wearing it today. Aww this looks like such a fun time! What a great idea, a sprinkle instead of a shower. I also LOVE the rain cloud with the raindrop backdrop. That is super cute! So much fun to have a sprinkle. 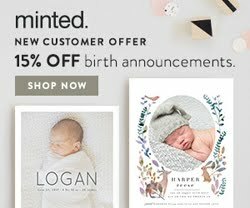 Did you make a mini registry or did people guess what you need? A lot of people have just gotten us diapers or clothes, but I did make a small registry just at Target for a few things. Burb cloths, bibs, another car mirror, sun shades, some rattles, pacifiers, more bottles, and some pumping stuff like breastmilk storage bags and things like that! Nothing huge. How sweet! I think every baby deserves just as much celebration as the first. oh man. sprinkles have not caught on up here too much, so sweet William didn't have one, but I've started to see them happen more and more and I love the idea!yours looked lovely. It looks like everything was really nice! Truthfully this pregnancy has been a little sad/disappointing in that most people forget I'm even pregnant, myself included. The first time around, people called and texted me all the time to ask how I was feeling, and this time around, people don't even ask me in person. 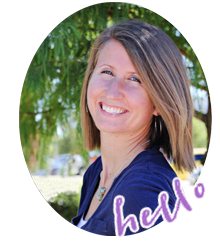 My pregnancy has been non-eventful, which I'm very thankful for, but it's been a different experience, for sure! Babies are on the brain for me as well so I say share all the baby things!!! 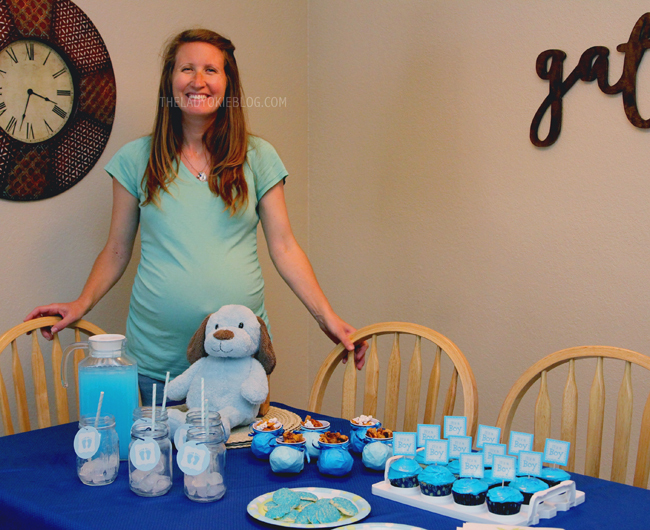 :) I've been to lots of baby showers for second or third babies (I've even hosted a few), but until this year I've never heard them called a "sprinkle", but it's such an appropriate name! 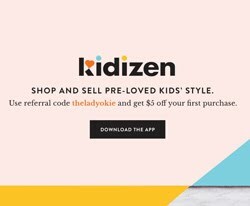 The parties tend to be a little more intimate and gifts tend to err on the side of more practical (like lots of diapers and wipes) which all makes sense. Anyway, I just find it funny to hear you call it a "sprinkle" as well when I've only heard that term a handful of times and all this year! 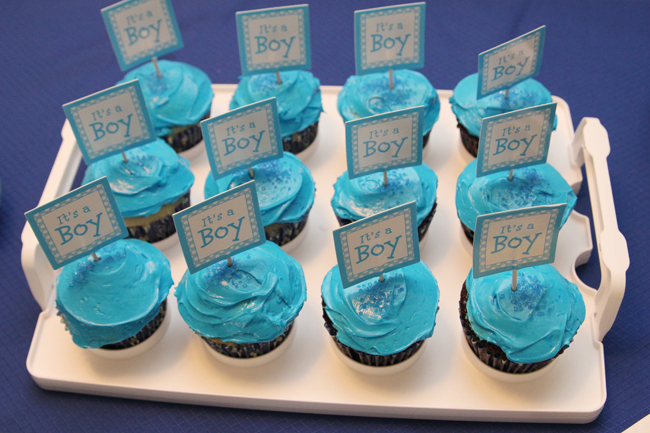 I'm so happy your friends and family have celebrated baby boy with so much love! That's the best. So fun! Glad you got to celebrate him. I love that little bootie/snack cup. SO cute! Diapers are my favorite shower gift. I suppose since I am super-practical myself, I couldn't imagine anything else that would make a better gift. Glad you have a nice stash started already. Also, R might not totally get that her brother is actually in there, but really do any of us? I can't quite wrap my head around it when I'm pregnant that there is a living, growing person in my uterus. Blows my mind every time. Baby Bum is already so loved!! Little R is going to be a great big sister! Love that you had a little celebration for the new baby!! The decorations were so cute! Those raindrops are adorable! 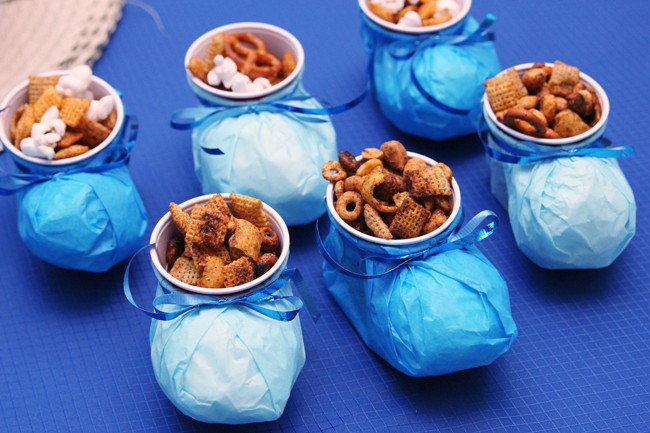 Love the little chex mix booties and the sock banner. Honestly, baby feet are just the cutest! 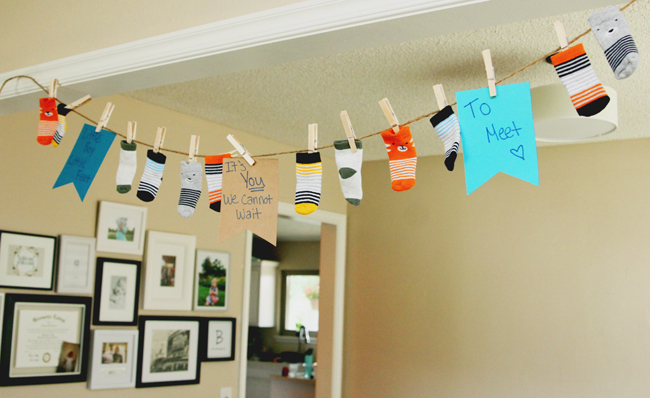 So sweet of everyone to shower baby #2 with lots of love!! Wow, I've never even heard of a sprinkle! Looks like a lot of fun celebrations. I'm glad people are giving you sprinkle showers. I think it's thoughtful to do something for the second (and subsequent children). And I think every shower could use lots and lots of diapers! Oh my goodness, I love everything about this! What a perfect sprinkle and special time!! R is going to be the BEST big sis, I can't wait to start seeing pics of them together! You look amazing! Getting so so close!! So sweet!! I'm really glad that little Baby Bum Boy got a party. Those cupcakes look divine.